The Supreme Court has upheld the death sentence of political prisoner Saman Nasim, currently imprisoned in Orumieh prison. Nasim’s defense attorney had objected to the sentence issued by the Appeals Court for his client but the Supreme Court upheld the Appeals Court ruling. According to Nasim’s defense attorney, Saman Nasim born on September 20, 1994 was not of legal age at the time of crime committed on July 17, 2011, therefore, Mahabad Revolutionary Court did not have jurisdiction over his case to issue a verdict. Despite the objection of the defense attorney, after the case was reviewed by the Supreme Court, the Appeals Court ruling was upheld and Nasim was notified in prison of the court’s ruling. Saman Nasim was sentenced to death on April 27, 2013 by East Azarbaijan province Appeals Court on charges of membership in the banned Kurdish group PJAK. Parents of Mohamad Metaji who sent text messages to MP Hadad Adel and other MPs asking for the release of under house arrest Green leaders have been summoned to Branch 2 of Evin Court. 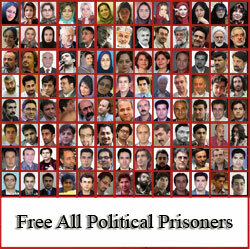 Following text message sent to MP Hadad Adel by Mohamad Metaji in support of the Green Movement leaders, the magistrate at Branch 2 of Evin Court, Alireza Khorshidi issued an arrest warrant for him on December 24, 2013 which led to his arrest and imprisonment at Ward 350 of Evin prison. Despite Judge Khorshidi issuing order for release-on-bail for Metaji, not only was he not released, but his mother was summoned to court on January 14, 2014 and interrogated. Initially, magistrate Khorshidi had intended to issue arrest warrant for Metaji’s mother, but ultimately released her on bail. Magistrate Khorshidi also summoned Metaji’s father on January 15, and threatened to issue an arrest warrant for him. Concerns are that magistrate Khorshidi, like many other judges in the Judiciary system operates under the influence of the Intelligence apparatuses, such that the result of sending a text message to an MP led to the arrest of the sender and the summoning of his parents. The fact that a request made by a citizen from a Parliament member, however bold it may have been, was faced with such harsh reaction from the officials shows the lack of interest on the part of the Representatives in the voters’ wishes, and shows their collaboration with the intelligence apparatuses in pressing charges against the citizens. This sort of behavior and reaction from the officials shows the sheer intolerance of the ruling system for any criticism from the citizens. On day 66 of their hunger strike, the four death row Sunni Kurdish prisoners of conscience have been reported to be in dire health. On Wednesday January 8, Hamed Ahmadi, one of the four Kurdish prisoners on hunger strike, fell unconscious and was taken to the prison’s medical clinic. On Wednesday night, Jamshid Dehghani also fell unconscious and was taken to the medical clinic. As of the time of this report, his status is not known. Hamed Ahmadi, Kamal Malaei, Jamshid Dehghani and Jahangir dehghani launched a hunger strike as of Monday November 4, 2013, protesting labor union issues and their death sentenced. There are more than 200 Sunni prisoners incarcerated in prisons across Iran, including in the cities of Karaj, Tehran, Sanandaj, Kermanshah, Saghez, Mahabad and Marivan. 39 of these prisoners have received the death sentence on charges such as Moharebeh (Enmity against God) and Mofased-al-Felarz (The agent of corruption on earth). Also, Sedigh Mohamadi and Sayed Haadi Hooseini’s death sentences were recently overturned by the Supreme Court and they are awaiting a retrial in the lower court at this time. 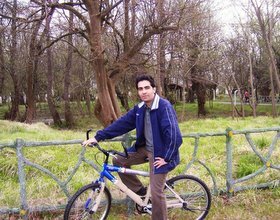 Prominent Iranian human rights activist and journalist, Kouhyar goudarzi, now living as a refugee in Turkey, facing a 5 year imprisonment sentence, fled Iran in March of 2013 after he was released on furlough from prison. 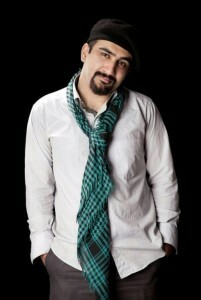 Kouhyar Goudarzi was first arrested in March of 2006 during a peaceful rally on International Women’s Day. He was arrested again in May 2006 on International Worker’s Day while attending a meeting at the Tehran Bus Company rally. Subsequently Goudarzi was arrested twice in 2009 after the disputed presidential election and sentenced to one year imprisonment. He was kept in solitary confinement for 10 months and was later released on December 14, 2010 after completing his one year sentence. Goudarzi was once again arrested in July 2011 in a raid of his home. For three months the authorities refused to acknowledge the arrest of Kouhyar, and his whereabouts remained unknown. On April 12, 2012 after nine months imprisonment, 3 months of which his status and whereabouts were unknown, and 2 months of which were in solitary confinement under intense interrogations and torture, Goudarzi was released on bail pending his appeal. In March of 2012, Kouhyar Goudarzi was sentenced to 5 years imprisonment to be served in the city of Zabol. He was convicted on charges of “Propaganda against the regime” and “Assembly and collusion with intent to act against the national security”. In 2010, Kouhyar Goudarzi was the recipient of the John Aubuchon Freedom of the Press Award from the National Press Club. Goudarzi’s arrest brought about an international outcry from various human rights organization demanding his immediate and unconditional release. It was last winter that I made my decision, and my reasons convinced me to leave Iran. Since then I have not written anything, nor have I complained about my situation. It’s been some years now that I have learned not to complain and to take the ups and downs of life with a sense of humor. This kind of attitude is what probably helped me the most during my incarceration years. But sometimes one must speak out and speak of the pains. I made my decision and put my fate in the hands of the human smugglers, and the freezing cold weather and snow of Azarbaijan and crossing of the border. After eight days of being a hostage in the hands of the human smugglers, in a sheep-pen in a village, walking through ice and snow, my personal effects stolen, and holding forged papers, I finally reached Ankara and the administration office that handles the refugee matters, where I registered and filled out an application. I did not have a passport nor any official identification papers, and this was my biggest problem. Now almost one year has passed and I am still in Turkey, and not only have I not received acceptance from the United Nations High Commissioner for Refugees and a third country, but I have not even been given an interview to start the process of my asylum request. My current situation is: About 4 months ago I went for an already scheduled appointment to the office of UN High Commissioner in Turkey, an office that’s laden with a thousands bureaucracy & procedural problems. It took me seven hours to travel to the High commissioner’s office in Ankara. When there, they did not allow me to enter. At the time I assumed that my lack of having legal documentation was the cause my losing my appointment. However, the problem that caused my interview to be canceled, according to the UNHCR office, was the need to wait until a medical review was completed. This was something that was recommended by a lawyer (Psychiatric counseling) after hearing a brief account of my arrests and tortures, prior to my registration request for asylum. Obviously at the time I had not expected this to become a problem so I agreed. The use of psychiatric care once a month, with the cost of back and forth transportation out of pocket would have been very time consuming and could take some years to complete. . The UNHCR office canceled my asylum appointment 4 months ago, using as an excuse my termination of the psychiatric counseling. This means that the doctor who was supposed to treat and deal with my emotional stress stemming from the events I suffered in prison, became himself the biggest source of stress and problems for me. The UNHCR office’s bureaucratic management is not unique to my situation but also impacts the situation of thousands of other Iranian refugees in Turkey. Another problem that exists is the fraudulent claims that are made. As an example, one person who in front of the UNHCR office was claiming to have been imprisoned in solitary confinement, when in fact, he had never even heard of the name Evin prison and had no valid reason for his claimed imprisonment other then being a political activist. With all this vagueness, his case was approved by the UN refugee office in about two months, just that easy, just that painful. In 2010 and on the anniversary of the 2009 presidential election, the then U.S. Secretary of State, Hillary Clinton, mentioned in a speech the names of seven human rights activists, including myself, and asked for their release from prison. However, from these same American officials that even have my records of my high school for the gifted and talented students, no attempt has been made on my behalf in helping with my asylum case . And my many influential friends who at the time of my imprisonments did not forget to use my pictures and my name, are now so preoccupied with their daily lives that they don’t even have time for a small conversation. I could have left Iran many years ago. When you are a student at Sharif University, there are easier ways to leave Iran. I also could have left after my previous arrests. But when what happens to you is the result of choices you have made, it makes it easier to accept the situation. On month six of my fifth arrest, to pass the time in my cell, I calculated that if I live to be 50, I will have spent one percent of my life in prison. This percentage ultimately became four percent with my last arrest. The hardships during all those months, however difficult they may have been, I have accepted and endured as the results of and the price for the choices I have made. But it is hard, to have left my homeland for the right to continue my education that I was deprived of in my country, and now in a limbo situation, to hear sometimes that all of this was for me just to obtain asylum. I didn’t write all of this to complain about my situation. Prison and solitary confinement’s biggest benefit is that you come to realize there is nothing more valuable than time, and that even in the worse of situations, one must not let their life become futile. During my time here, I have completed an accredited online degree, and in a few months will be taking my TOEFL test. My reason for writing this is because lately some friends in Iran asked me how is life the United States, and in which state do I live. Apparently most thought that I am in the U.S. Also I wanted to give an account of the procedural situation of the United Nations High Commissioner For Refugees and it’s bureaucratic system.